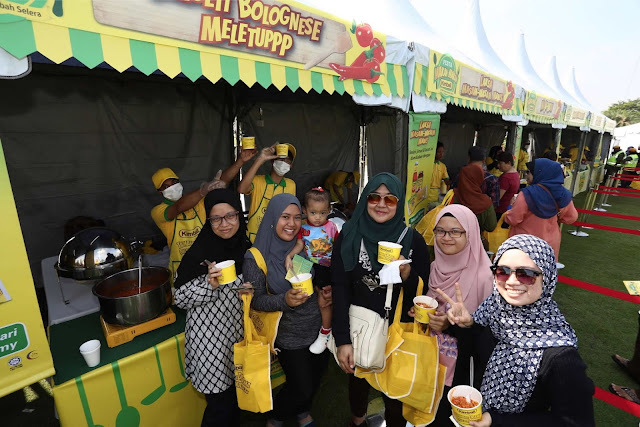 Kimball, a household name in sauces for more than 40 years in Malaysia held its first one-day picnic-in-the-park styled food fest that added drama to the ‘good food’ list of foodies, families and fans in the Klang Valley, at Setia City Park, Shah Alam, today. Thousands of people tucked into a variety of Kimball-icious dishes, as Pesta Makan-Makan Kimball made a dramatically delicious debut. The event saw more than 15,000 servings of a variety of delightful traditional and modern dishes being sold. The dishes were developed by chefs, specially for Kimball. It showcased the creative use of Kimball products in dishes that can be easily whipped up at home for a dramatic taste, at an affordable price, while giving families and friends the ideal setting and activities to spend a relaxing day together. In order to reward loyal Kimball consumers and thank them for their support, all dishes were priced at just RM1 to allow visitors to enjoy a variety of delicious dishes. There were 12 delightfully named dishes including ‘Mi Ja-Wow’, ‘Spageti Bolognese Meletuppp’ and more that were quickly snapped up owing to their deliciousness. The activities reflected Kimball’s ‘Tambah Drama Dalam Masakan’ campaign for 2016, that is all about adding dramatic flair to even the simplest dishes with a dash of Kimball, without bursting your budget. With the six exciting zones, ‘Tambah Selera’ and ‘Tambah Segar’ for food and drink, ‘Tambah Ceria’ and ‘Tambah Drama’ for games and activities, ‘Tambah Relaks’ for chilling out and picnicking, and ‘Tambah Rasa’ for special deals on assorted Kimball products, there was something for everyone. There was also celebrity appearances by DJ Haniff, DJ Ray from ERA fm as well as host Azura Zainal. In introducing the event, Campbell Soup Southeast Asia Sdn Bhd, General Manager, Mr. Paul Serra pointed out that Malaysians connect through food. 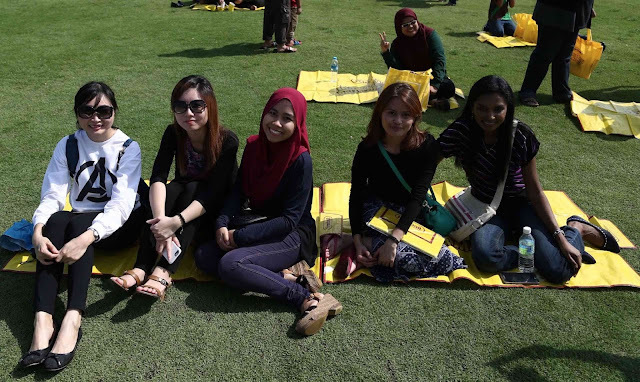 “With this event we set out to unite communities, bringing families and friends together to enjoy a day out with relaxation, games, activities and most importantly for Malaysians, good food! The food festival goers could try out the many delicious, easy and affordable to prepare dishes using Kimball, was a plus!” Mr. Serra said. Pesta Makan-Makan Kimball food festival goer, Sarah Sabri was won over by the event and the quality of the food. “The food was amazingly good. I learnt new ways to use Kimball products such as the spaghetti sauce can also be used for cooking traditional dishes such as nasi briyani and laksa as well as modern dishes such as pizza. Portions were very generous, and there were so many freebies including the picnic mat and mystery gifts that it was so worth it to attend. The laid back atmosphere made for a great outing. If it is on next year, I’ll definitely be back!” Sarah said. To find out more about Kimball’s easy, affordable and convenient recipes, you may visit their official website at http://www.kimball.com.my/, or log on to their Facebook Page at https://www.facebook.com/KimballMalaysia/ to discover more updates and information about Kimball’s products and how to maximize taste with simple ingredients, and to use them in daily meal preparations.